Lampent in game: 434 Who? Important notice! 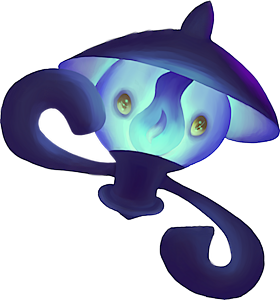 Pokemon Lampent is a fictional character of humans. 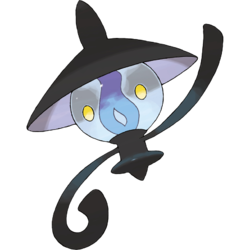 Lampent (Japanese: ??? ?— Lampler) is a dual-type Ghost/Fire Pokémon introduced in Generation V.
Lampent made its anime debut in A Venipede Stampede! under the ownership of Trip. He used it to try to help stop a swarm of Venipede from taking over Castelia City. 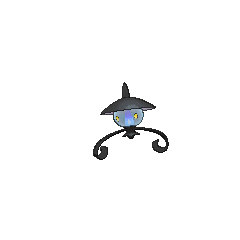 Another Lampent made an appearance in Scare at the Litwick Mansion! as the leader of a group of Litwick where they tried to take Ash, his friends, and Team Rocket to the Ghost World. 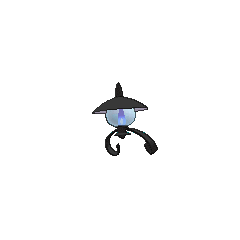 Multiple Lampent appeared in The Lonely Deino! under the care of Bobby. 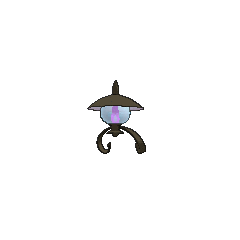 Another Lampent made a cameo appearance in Climbing the Tower of Success!. A Pokémon Breeder and Clerk were shown with a Lampent. 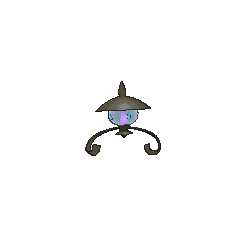 Rood used a Lampent during his battle at the Pokémon League against the Trainers who were helping Black rescue the captured Gym Leaders. Prior to the Black 2 & White 2 chapter Bianca's Litwick evolved into a Lampent. Lampent is a combination of Hitodama (a blue, black, or purple-fire associated with ghosts and yokai, equivalent to the western will-o'-the-wisp) and an oil street lamp.